The Dive Travel Awards 2018 Vote is now open! Please take 30 seconds to vote for Ceningan Divers! 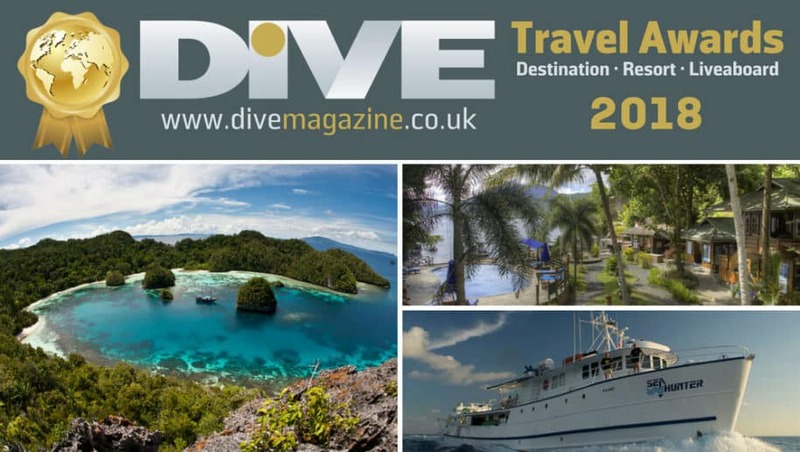 A total of 71 destinations, 461 dive centres or resorts and 208 liveaboards were nominated by DIVE’s readers, but only the Top Twenty-five in each category were sent through to the final vote. Voting is open until 31 October and there will be regular updates along the way. Winners will be announced at DEMA, to be held this year in Las Vegas from the 14 to 17 November. This year’s awards are sponsored by Scubapro and Dive Worldwide. Vote here for Ceningan Divers for the 2018 DIVE Travel Awards dive centre or resort! *Bonus point if you vote for Indonesia! You can choose up to three in each category, but you can only vote once!